Chinese retailer Suning, who is also one of the official resellers of Nokia 7, posted on the social media Weibo a teaser about, what it seems to be, the upcoming launch of the new Nokia 6 (2018). 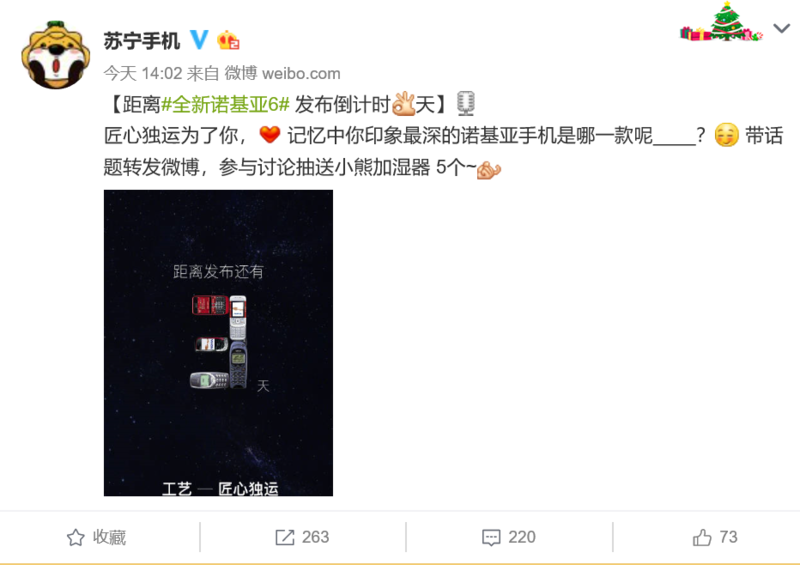 We cannot access Weibo to confirm the post first hand, but a user shared the teaser on Twitter and it seems legit. 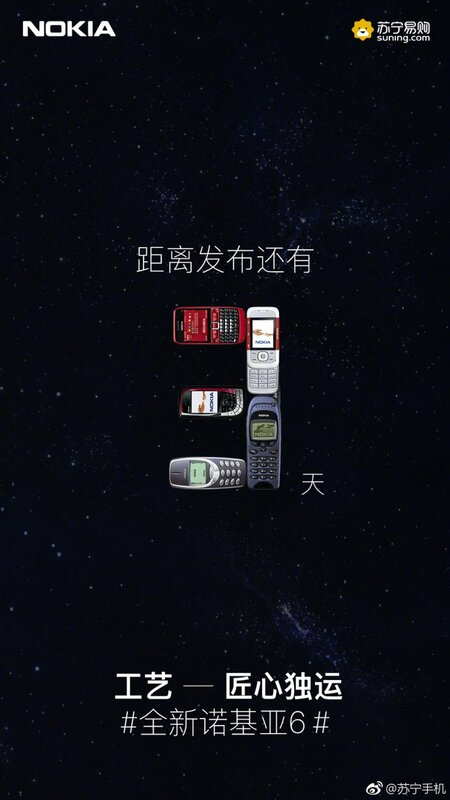 The teaser is interestingly made of old Nokia devices that are positioned to form the number 3. It reads “3 days”, and “unique craftsmanship, new Nokia 6”. The teaser was translated using Google Translate, so keep in mind that the original message could be different, but it surely says “3 days” and “new Nokia 6”. Suning could be teasing the upcoming launch of the new Nokia 6 (2018) in China, that should happen, according to their teaser, in 3 days. If you remember, HMD Global launched the original 6 last year at the beginning of January, and this year we could see the new at the approximately same time. The new 6 is rumored to come in a more compact body and with more powerful hardware compared to the “old” 6, but for photos and details, we would recommend to check this article here. Summed up specs follow down below. Last rumors about a possible launch event mentioned 19th January as the announcement date. It is possible that HMD Global announces the new 6 the same way they did with the old one, via a press release and later holding a small local event in China. I wouldn’t rule out the possibility of seeing Nokia 9 or Nokia 3310 4G on the same day the new 6 is announced, but there is also the scenario where the 6 is announced in early January, with the 9 and 3310 4G being announced at a bigger event on 19th. All in all, interesting times are ahead of us. Update: Here is the offical Suning profile on Weibo where the post was published.